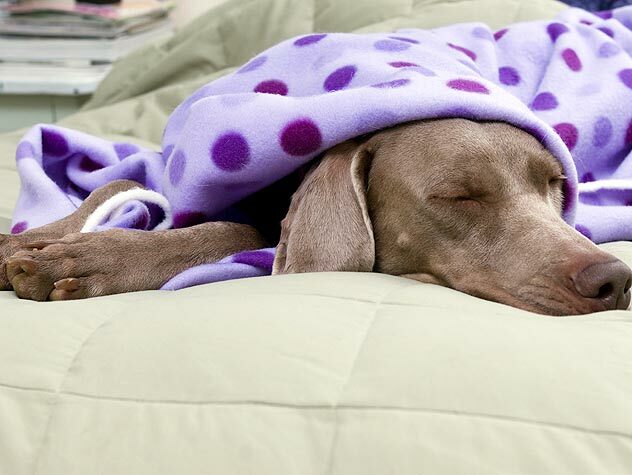 Does My Warm Dog Have a Fever? Q: Today my dog felt warm. Does that mean she has a fever? Is my dog is sick? A: It can be hard to judge a pet’s temperature by feeling their skin. If it is hot out, or if they were just exercising, they can feel warmer and their body temperature can be elevated. A normal temperature for a dog is about 99.5 – 102.5 degrees Fahrenheit. A dog’s temperature can easily be checked at home with a rectal or ear thermometer.